Small and Mighty: SisterFriend, Inc.
SisterFriend, Inc. is dedicated to the menstrual hygiene management needs for vulnerable women and girls in Southwestern Pennsylvania. The Pittsburgh Foundation awarded a Small and Mighty grant of $15,000 in 2018 to SisterFriend, Inc. Established in 2015, SisterFriend, Inc. is dedicated to the menstrual hygiene management needs for vulnerable women and girls in Southwestern Pennsylvania. The organization distributes more than 5,000 feminine hygiene kits annually, serving girls and women who are veterans and those experiencing housing insecurity. 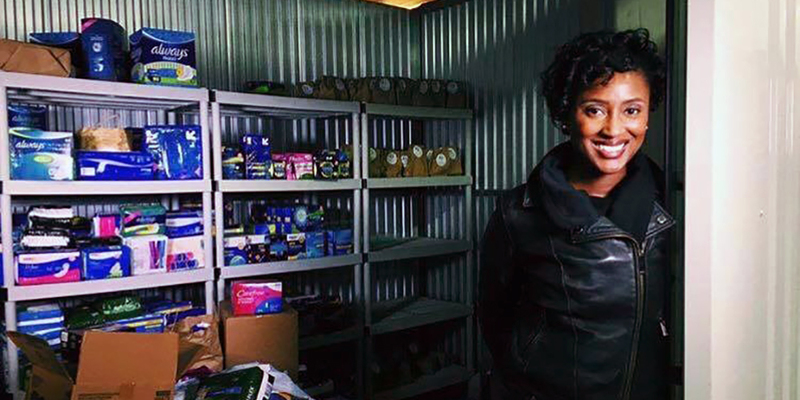 The $15,000 grant allowed SisterFriend to expand access to feminine hygiene products. It will also support initiatives to increase awareness of menstrual hygiene issues for at-risk and underserved populations. The Small and Mighty grants program, an outcome of the Foundation’s 100 Percent Pittsburgh organizing principle, has awarded $308,821 in 2018 to 22 local nonprofit organizations with budgets of less than $600,000. SisterFriend, Inc. has an annual operating budget of $18,550.